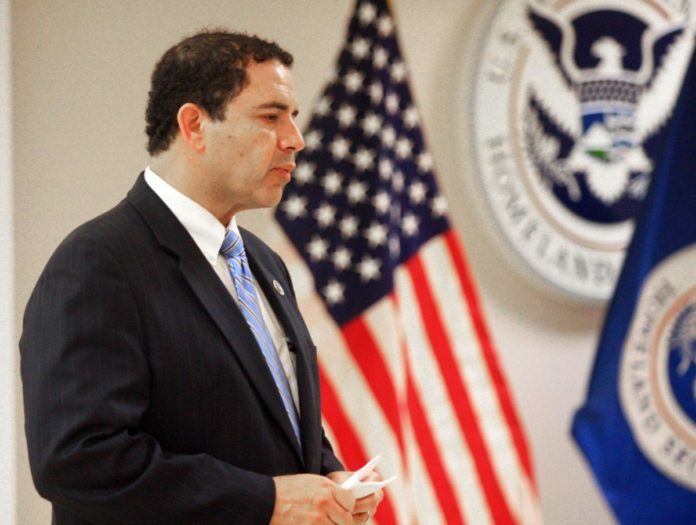 In an effort to cut down on a growing backlog of immigration cases, U.S. Rep. Henry Cuellar, D-Laredo, announced Wednesday he successfully included language in the Omnibus Appropriations Act to hire at least 10 additional immigration judges. These 10 new judge teams — which each include a new federal immigration judge plus support staff — are in addition to the 55 new judges (and their staff) that Cuellar helped secure funding for in fiscal 2016. This would bring the nationwide total to 384 immigration judges — the largest number ever. The House of Representatives is set to vote this week on the legislation, which would fund the government for the rest of the 2017 fiscal year. Despite the successful appropriation of funds for these new judges in 2015, and 2016, many of the positions remain unfilled. The backlog is only expected to grow as House Speaker Paul Ryan announced on Monday that Congress will allocate enough new money on border security that it should enable immigration officials to discontinue its catch and release program, effectively allowing immigration authorities to detain any unauthorized immigrant until the case is disposed of in court. Cuellar sits on the House Appropriations Committee, which is tasked with regulating the government’s expenditures. Currently individual immigration cases for someone who is detained take a median length of 71 days, while the median length for cases for someone not detained is 665 days, the release states. The goal would be to cut those delays from 71 days for someone who is detained, down to 60 days, and from 665 days for people not in custody, to about 365 days, according to the language of the bill. The language within also requires monthly reports on the performance of immigration judges — includes $1.7 million in funds for a criminal justice IT system upgrade, and nearly $6 million for courtroom infrastructure and space costs, according to the news release. Just last month U.S. Attorney General Jeff Sessions announced that the Department of Justice hired dozens of new immigration judges to get through the backlog of immigration cases. Sessions said an additional 50 immigration judges would be hired this year, while another 75 immigration judges are expected to be hired in 2018. Currently there are more than 570,000 pending immigration cases nationwide, with California and Texas leading the way with 104,701, and 98,908 cases pending respectively, according to data provided by the TRAC Immigration Project.